RUKH actually made be sad, as this certainly could have been such an exciting thriller with the entire investigations moving on one track and the suspense coming out to be completely different with a touching emotional twist making a solid impact. But unfortunately the film doesn’t come up with any such exciting execution and probably was made by the talented debut director Atanu Mukherjee with a fixed mindset of presenting it as an off-beat, festival friendly film for his own reasons. As a result, what we get to see is an extremely slow paced investigative thriller that actually doesn’t follow the very first requisite of the genre to be brutally honest. 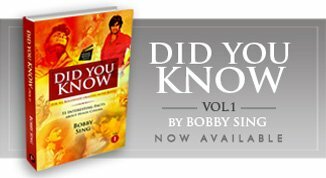 May be that is the reason it was promoted as a ‘journey of a son’ instead of a thriller, with a title like RUKH, meaning ‘a perspective’. However, even if the director wished to present it as a realistic family drama fighting with the inner demons, the film never turns out be as powerful as it should have been making a solid impact on the viewers. 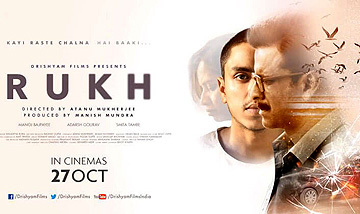 Interestingly in Punjabi the same word RUKH means A Tree, representing the father, which also perfectly fits on the film revolving around a son in search for the reason for his father’s sudden death. RUKH deserves its share of praises for all natural, intense performances (especially of Adarsh Gourav) and a highly real-life ambience for sure, but here too just the first slide on screen makes you wonder in disappointment declaring ‘Special Appearance – Manoj Bajpayee’. Now frankly that wasn’t expected from the film with Manoj prominently used in its posters and trailer too. If truth be told, that is nothing less than a ‘misguiding promotional campaign’ for the audience giving them the wrong information. Though Manoj is as usual flawless in the role of a father (all over the film in an invisible mode), but his short appearance is sure going to disappoint many fans coming in especially for the man alone. The film scores in its cinematography and background score department but once again fails to make any major connect with its music despite having some good lyrics (which sadly has become a norm now). In technical terms, RUKH never looks like a work of a debutant director. But I really wish it was made doing complete justice to its subject reaching out to the majority of audience sitting in the theater instead of just a niche section. Overall, RUKH is an above average, performance oriented film that can only be appreciated if you are ready to go for a different, slow moving narrative asking for a lot of patience.